Some whale watching days are unforgettable. 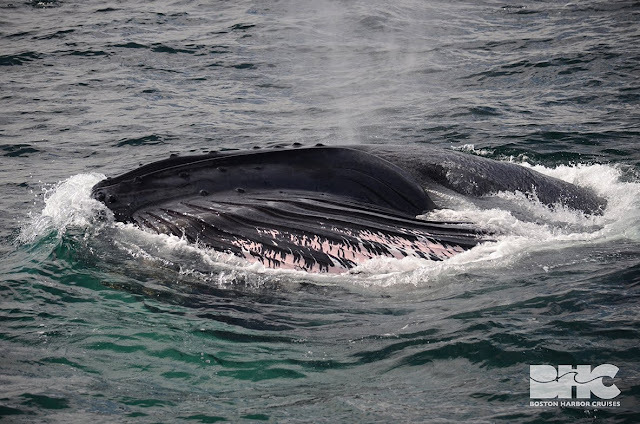 This afternoon theˆ headed out for the 2pm whale watch towards the northwest corner of Stellwagen Bank where Shuffleboard and Hancock, two adult female humpback whales have been feeding for the past week. We did get amazing looks at both of these animals. It started on a high in our very first look when Hancock’s spiral of bubbles began to surface just on the other side of the railing followed soon after by an enormous whale! Shuffleboard wowed us with her enormous mouth erupting out of the water to trap fish against the surface over and over and over again. Our passengers could really appreciate both the size and scale of these animals with every surfacing. Shuffleboard is such a dependable fluker so we got a great view of her unique tail pattern on each dive. This would have been alone an amazing whale watch and the type of one that makes Stellwagen Bank such an great place to come view whales, but we also got to see something else: basking sharks. These are common visitors to our waters in the spring and summer but due to the fact that they don’t breath at the surface are much harder to spot. And we love to see these incredible fish. 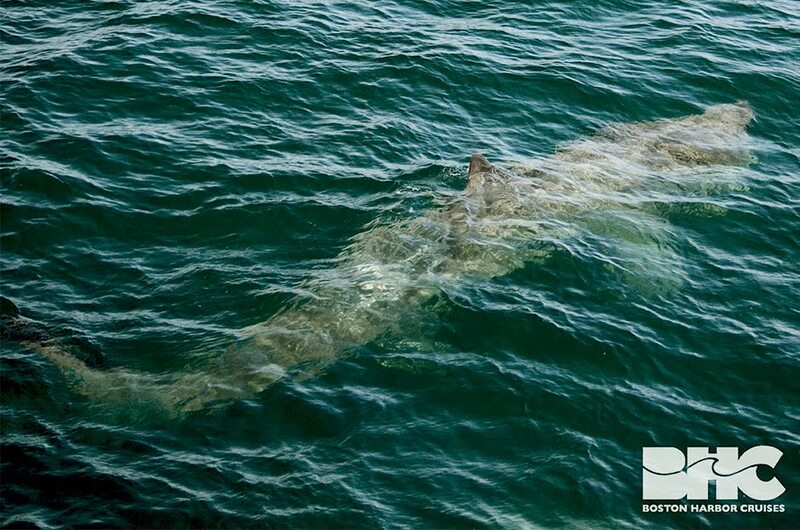 Our intern on board, Haley, spotted the first one and as we approached we realized that we had multiple sharks in the same area and in fact two swimming together one above the other. We got amazing looks at these animals that we estimated to be about 25 feet long as they fed in the surface waters and even swam right below the bow. Amazing whales and amazing sharks for an unforgettable World Oceans Day!